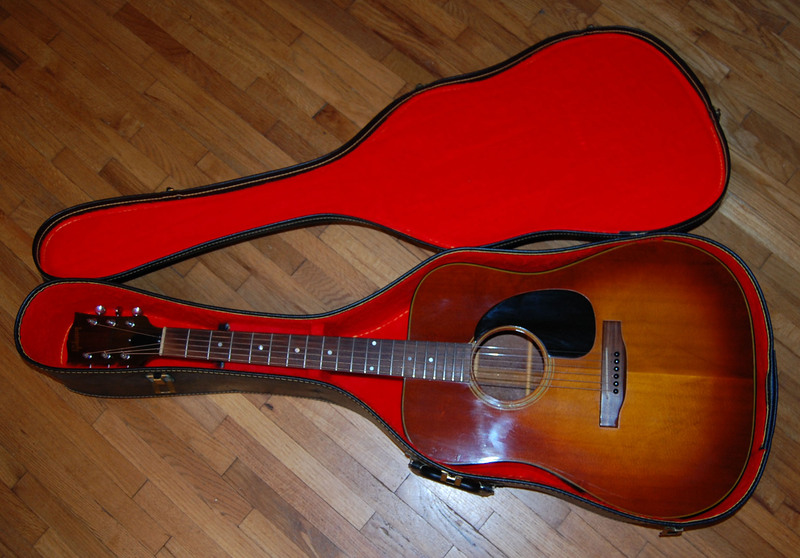 Bob Dylan's 1974 Gibson J45? My father , who has left this earth, was the original sound engineer at a famous live music venue in the French Quarter in New Orleans. It rhymes with House of Shoes. The venue opened around 25 years ago and during it's inaugural week , they had some major stars playing the joint. One of the shows was B B King. When B.B. played , it just so happened that Bob Dylan was in town playing another venue in town that same night. After the show, Dylan comes over and pays his respects to B.B. back stage, and apparently busts out one of his acoustics and they play together for a while. Eventually, the party shuts down, Dylan and his crew leaves, B.B. and his crew load out and the place is empty, except for an acoustic guitar that's sitting in the dressing room. THIS ONE. So my dad takes the thing home, and tells his boss at the club what happened . The club people try to reach out to Dylan's people to tell them this guitar got left behind. A few days turned in to a few weeks and a few weeks turned in to , like a few decades and the damn thing sat in my dad's home studio until he passed away. So here it is. 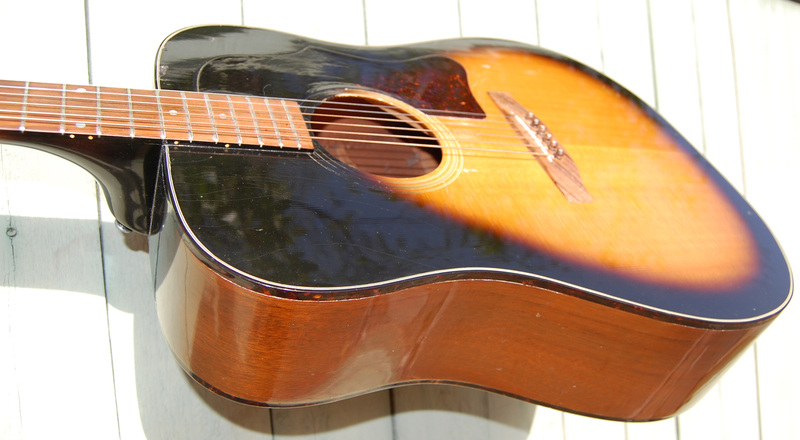 I am NOT SAYING THIS IS BOB DYLAN'S GUITAR. It may have been , I was not there. But he damn sure played it. Hi Joe- I spoke with Mr. Dwight who has been with our venue since it opened on January 29, 1994 and he doesn’t recall the “rumor” you referenced. He did say BB King played at several special events those first few years and he had two photos to share with you! See attached. Mr. Dwight is our Director of VIP Services and Renewals. I’ve copied him on this email should you have any further questions regarding our early years. He is a fantastic source for all things House of Blues New Orleans! 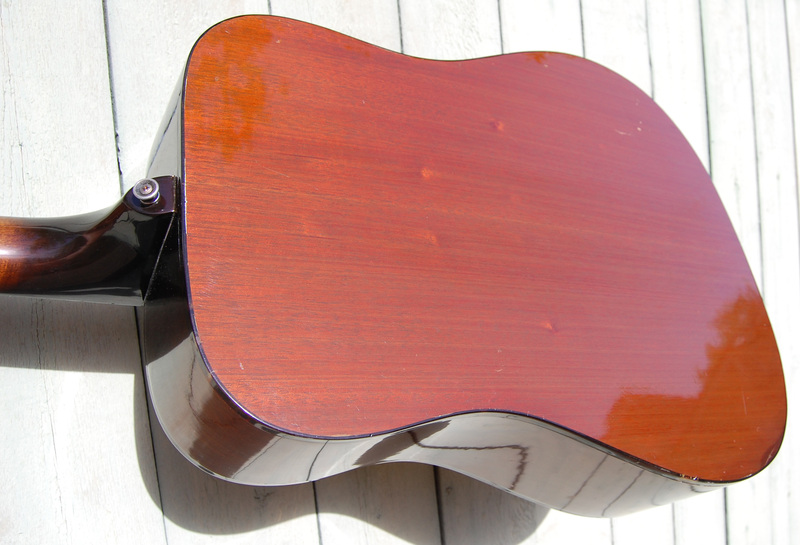 I am not adding any extra value to this guitar for the story. If a picture ever shows up the value of this guitar will increase significantly. 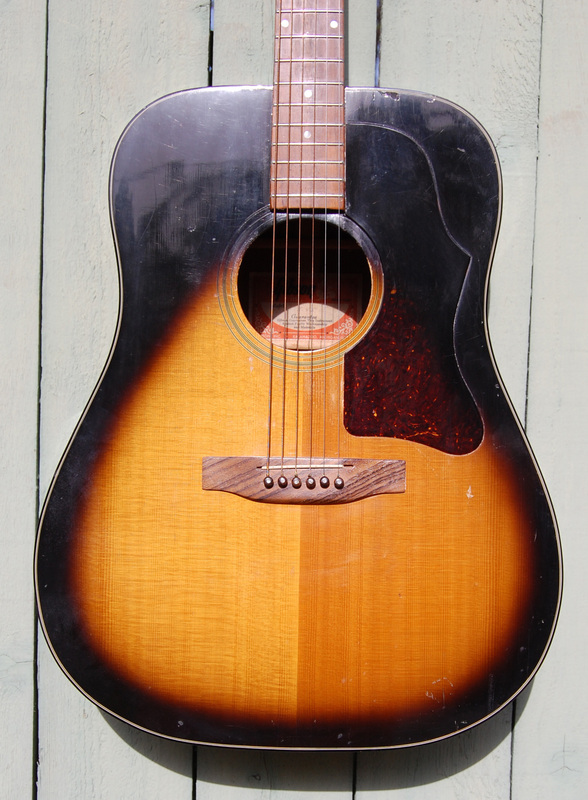 Until then it is just a super nice example of a 1974 Gibson J45 tobacco burst. Low action. No buzzes. Sustains for ever. Wonderful guitar. PLUS you get to tell this cool story to your friends. 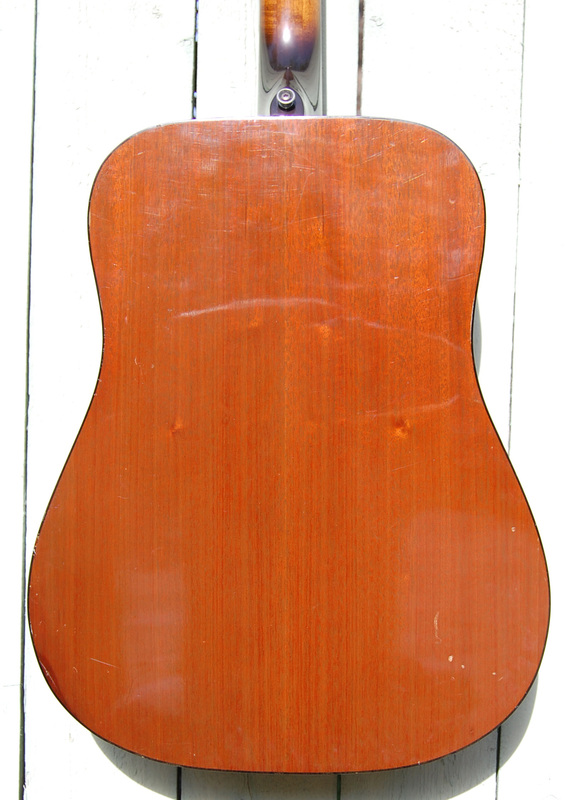 Comes with non original Gibson case. Please feel free to ask questions. I am happy to help.